MainAll NewsJewish WorldWould Rabbi Akiva have used Facebook? 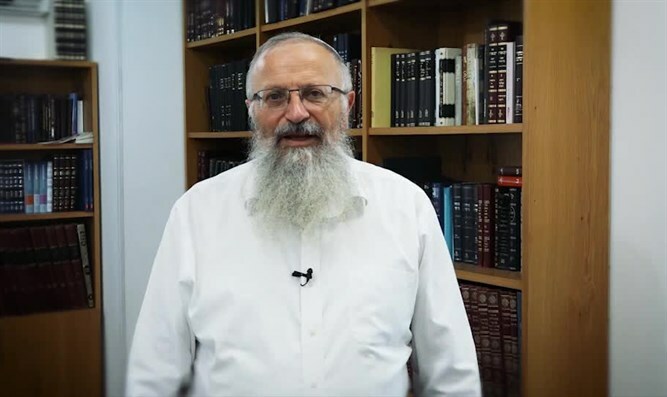 Rabbi Shmuel Eliyahu, chief rabbi of Tzfat, published a new video in which he explains the importance of teaching Torah to the public, and how we can act today to facilitate this matter. The video opens with a description of the famous debate between Rabbi Akiva and Pappus Ben Yehuda about Torah study. Rabbi Akiva answers Pappus in the metaphor of fish and water - just as fish cannot survive without water, so Israel can not exist without Torah study. Rabbi Eliyahu stresses that the debate mentioned was about the need to teach Torah in public: "The people of Israel have no life without it." Later, he describes how Rabbi Akiva gave his life for this. The video was published as part of the "Spirit and Communication" project of the Association of Rabbis of Congregations, in which a special conference will be held for rabbinical leaders and educators, and anyone who wants his Torah to be conveyed correctly. The conference, to be held at the Ramada Hotel in Jerusalem on the 28th of Av, will discuss the importance of disseminating Torah messages in the media and will provide practical tools for tdoing so..